We are proud to announce that four Mastery schools have been recognized for academic growth! 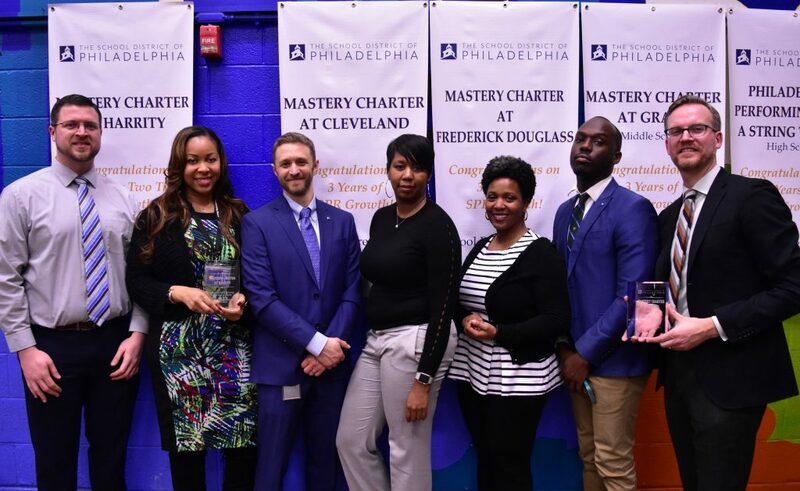 The School District of Philadelphia awarded Cleveland and Douglass elementray schools and Gratz Prep Middle for three years of growth on the School Progress Report (SPR). Harrity Elementary was awarded for achieviving two tiers of growth on the SPR.